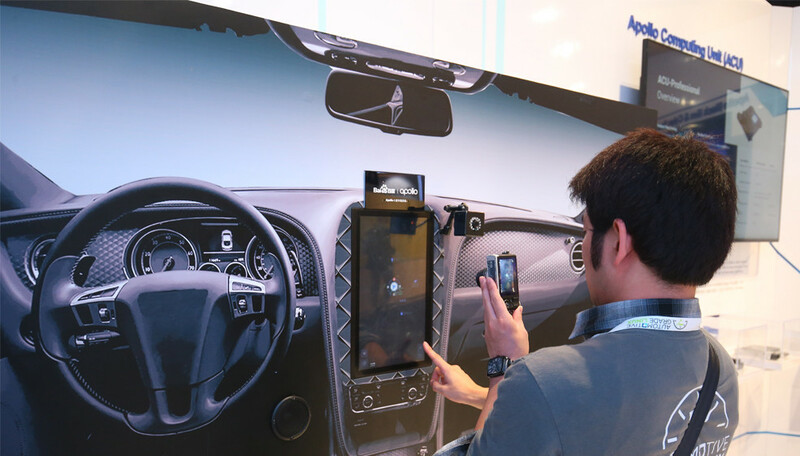 Baidu’s Intelligent Driving Group (IDG), the R&D arm of driverless car projects, wanted to showcase its latest autonomous driving technologies at CES in Las Vegas. 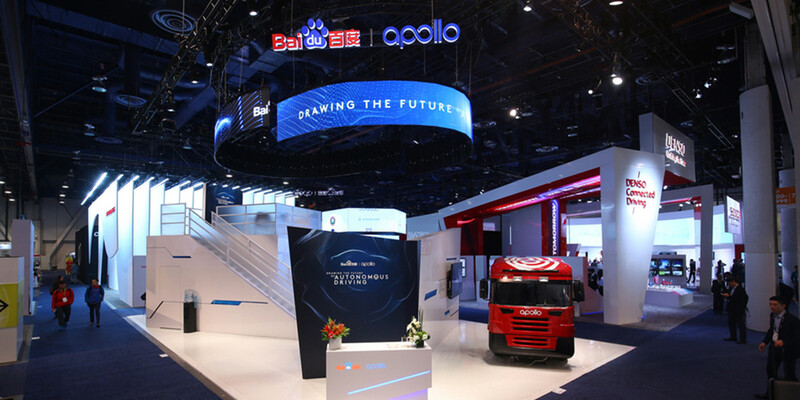 Baidu turned to Freeman for creative ideas and solutions to turn the exhibition space into an interactive display, featuring two vehicles powered by its latest autonomous driving system, Apollo 2.0. Baidu also needed a press conference that linked Las Vegas and Beijing for a real-time technology demo. The idea was to create an open and interactive area for nine solution demos and private meetings. We reserved a display area for a driverless sedan and truck to let visitors experience the platform inside the cars. With one month to handle all creative design, interactive experiences, production, logistics and floor management for the booth and execution of the global press conference, we moved quickly to connect teams in Beijing, Silicon Valley, and Las Vegas. We converted the space into a two-story stand that reinforced recognition of Baidu and the Apollo platform at every detail and touch point. Guided demos ensured visitors experienced the latest technology. A VIP room allowed deeper business discussions. The press conference, themed “AI Is Changing the World, China Speed,” spoke to the country’s rapid development in artificial intelligence and livestreamed the driverless car parade happening at Baidu headquarters in Beijing. The experience drove huge results! The exhibition welcomed 170,000+ visitors from 150 countries. 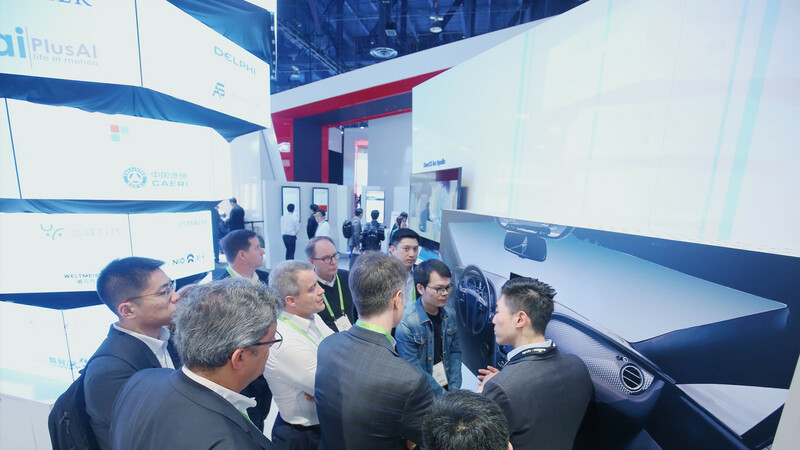 More than 6,000 product demo sessions were conducted with key OEMs, manufacturers, and self-driving-technology providers. The press conference attracted over 100 partners, 100 media outlets, and more than 300 global developers, including Microsoft, Qualcomm, and Bosch, who witnessed China’s speed represented by Baidu AI. Baidu received business inquiries from more than 100 companies over the four days of CES. Want to learn more about how we can help you create an exhibit that boosts your brand presence? Request a consultation today!